Those posts about Mexico got me craving for Mexican food. Unfortunately, most Mexican restaurants in the Philippines are not actually Mexican. 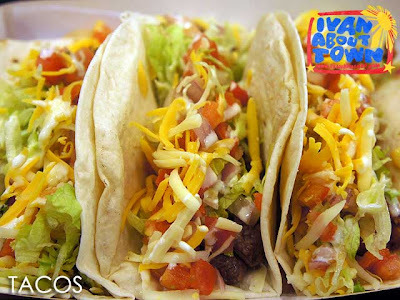 They serve TexMex (which comes from Texan and Mexican) cuisine which basically evolved from the use of ingredients available in the United States to create dishes with a strong Mexican influence. 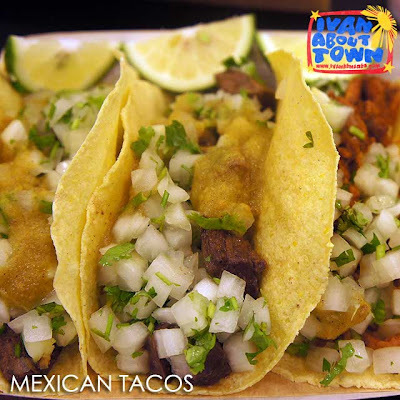 TexMex is characterized by melted cheese (most Mexican tacos do not have cheese) and beans. Texas-style chili con carne, fajitas, chimichangas (deep-fried burritos), hard-shell tacos with ground beef, or serving tortilla chips with salsa as an appetizer are actually TexMex creations. A burrito in the US would have pinto (black beans), Mexican style rice, guacamole, salsas, cheese, and sour cream. But in Mexico, the burrito or tacos de harina would usually just have meat and one or two other ingredients. Anyway, I remembered Burritos & Tacos (B&T) along Ortigas in North Greenhills (a high school classmate brought me here right after I arrived from Mexico). And since I was in the area this afternoon, I dropped by for some Mexican tacos. They serve a mix of Mexican and TexMex dishes. Basically, you get to choose your dish: Burrito, Frito Burrito, Burrito Bowl, Mexican Salad, Mexican Taco, Taco, Quesadilla, Guaca de Frito, Chimichanga, Tostada, Taquitos or Flautas. The price of your meal will depend on the meat you choose: Beef (Php350) Carne Asada, Barbacoa or Chili con Carne; Pork (Php340) Chorizo, Alpastor or Carnitas; Chicken (Php330) Jalapeno or Chipotle; Ox (Php360) Lengua Salsa Verde, Tripas or Cabeza; Fish (Php330); Shrimp (Php350); or Vegetarian (Php310). 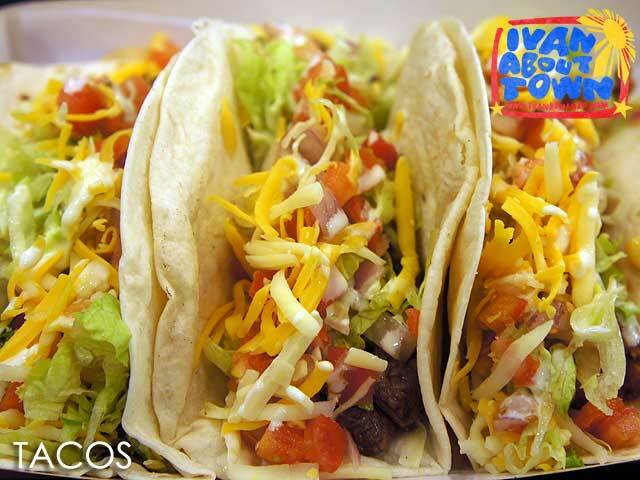 The Mexican Tacos don't come with cheese while the TexMex Tacos do. You have a choice of corn or flour tortillas, corn usually for Mexican while flour for the TexMex Tacos. Preserve the Mountain Province Capitol in Bontoc!